The New Zealand Symphony Orchestra is to be part of a unique international project celebrating Beethoven’s 250th birthday next year, which will include school and youth choirs performing the composer’s famous Ode to Joy in te reo Māori. The NZSO will join acclaimed orchestras in Brazil, Britain, the United States, Australia, Austria and South Africa in performing Beethoven’s Ninth Symphony with the Ode to Joy segment sung in local languages of each country. The NZSO’s performances of the Ninth Symphony will also incorporate new works by New Zealand artists reflecting the cultures of New Zealand. All Together: A Global Ode to Joy is the brainchild of the prestigious Carnegie Hall in New York. The NZSO has worked with leading American conductor Marin Alsop and the institution for the past 12 months to be part of the project, with the New Zealand concerts to be known as Kia Kotahi: He Toirangi Ā-Ao Kia Harikoa. The NZSO will join eight other orchestras on five continents which perform the Ninth Symphony between December this year and December 2020. 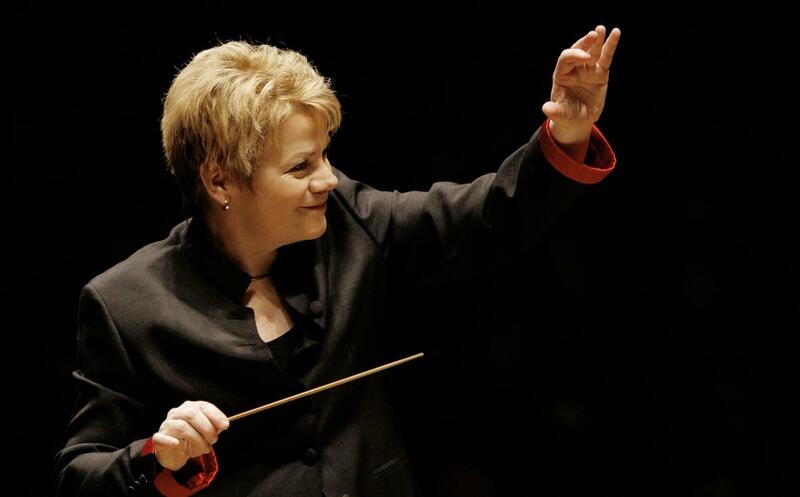 All Together: A Global Ode to Joy conductor Marin Alsop Credit: Grant Leighton, image courtesy of the NZSO. Maestro Alsop, a strong advocate for young people and diversity in the arts, will conduct every performance of the Ninth Symphony by each orchestra, including those by the NZSO in major centres in late July and August next year. “Ode to Joy is about standing up and being counted in this world. It’s about believing in our power as human beings,” says Ms. Alsop. The te reo Māori translation of Ode to Joy will also be made available as a learning tool, with nationwide distribution, providing an opportunity for young people around New Zealand to be involved in the project’s wider reach. NZSO Head of Artistic Planning Lucrecia Colominas says it is an honour for NZSO and New Zealand to be part of Carnegie Hall’s initiative and to welcome a conductor of Alsop’s standing on a project that involves young New Zealanders, New Zealand composers and diverse communities. The first All Together: A Global Ode to Joy concerts will be performed by the São Paulo Symphony in December this year. During 2020 the Ninth Symphony will also be performed by the National Youth Orchestra of Great Britain, Baltimore Symphony, Sydney Symphony. ORF Vienna Radio Symphony, KwaZulu-Natal Philharmonic and Johannesburg Philharmonic. The project will culminate with a concert at Carnegie Hall in December next year. Beethoven’s Ode to Joy, sung in the Ninth Symphony’s fourth movement, is based on a poem by Friedrich Schiller, which calls for equality, freedom and fraternity among people. More details about Kia Kotahi: He Toirangi Ā-Ao Kia Harikoa will be announced in the coming months.